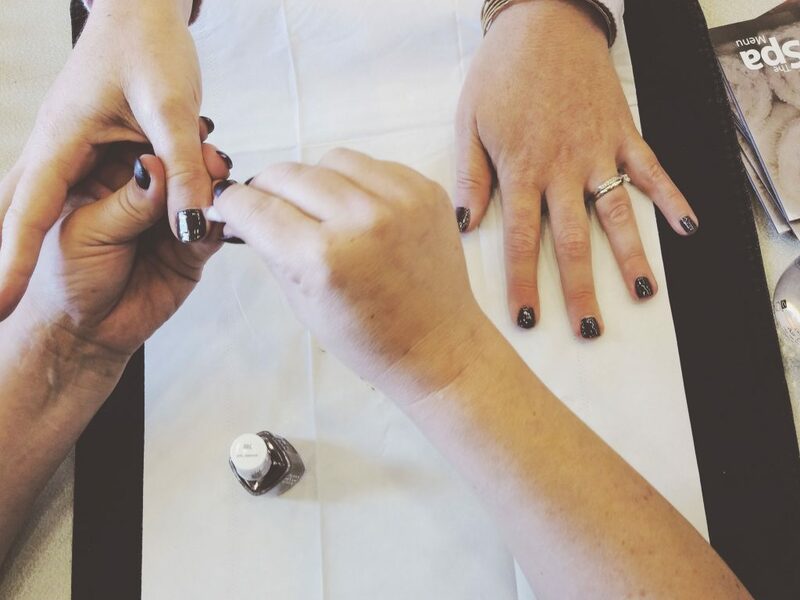 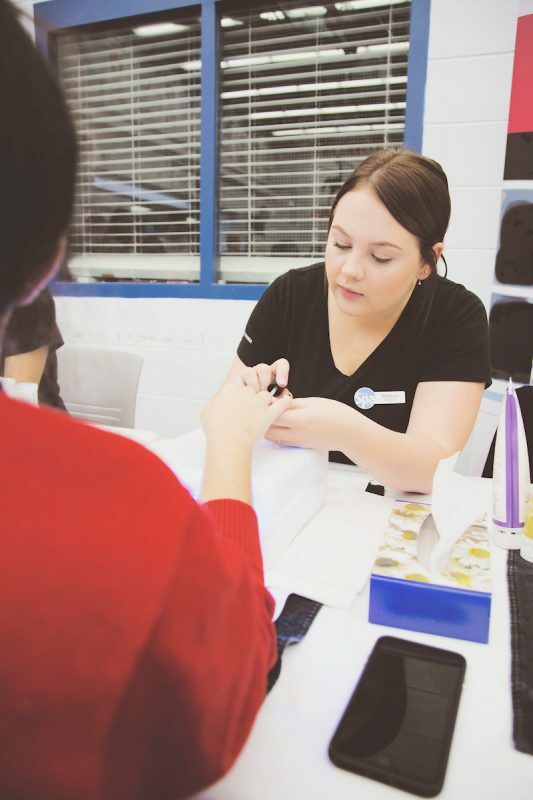 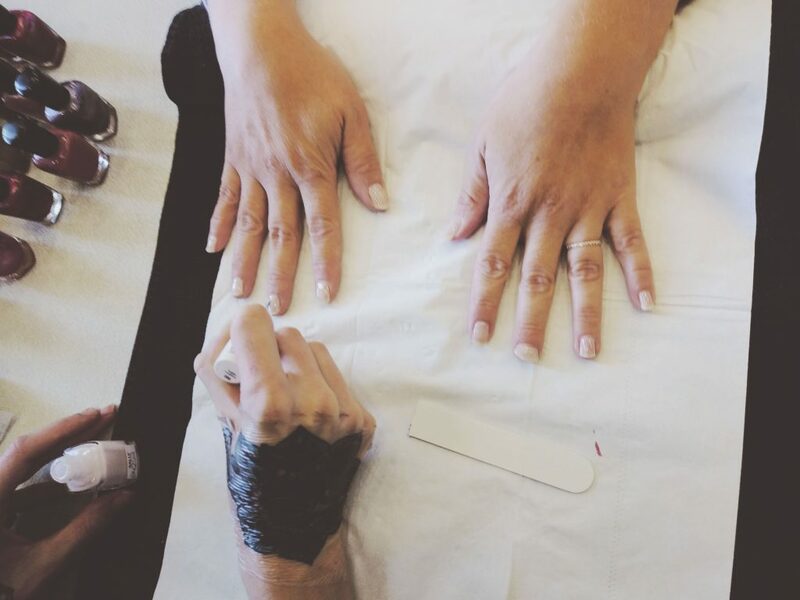 Visit The Spa during Loyalist College Open House on Sat., April 6 from 10 am – 1 pm to learn more about The Spa and Loyalist’s Esthetics and Spa Management program, and to see a nail artistry demonstration. 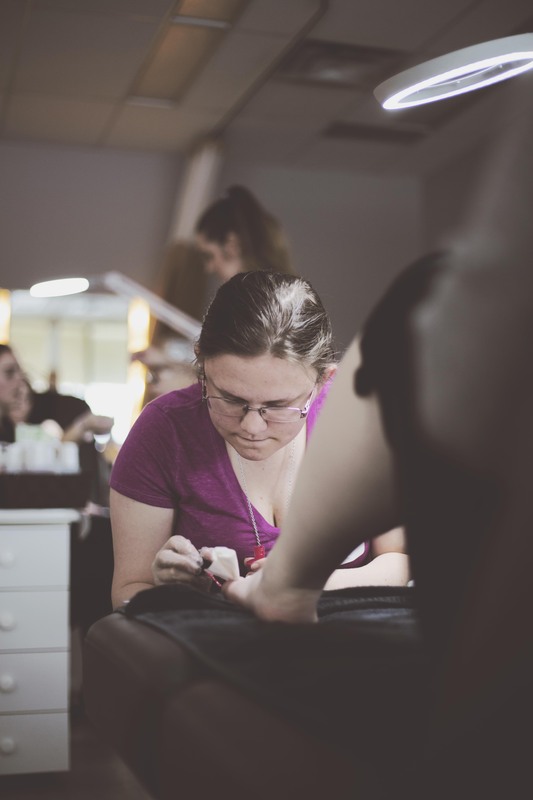 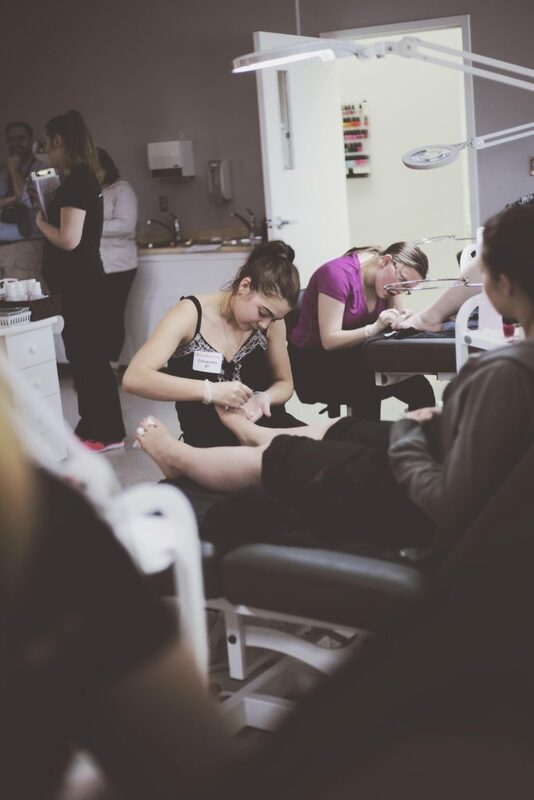 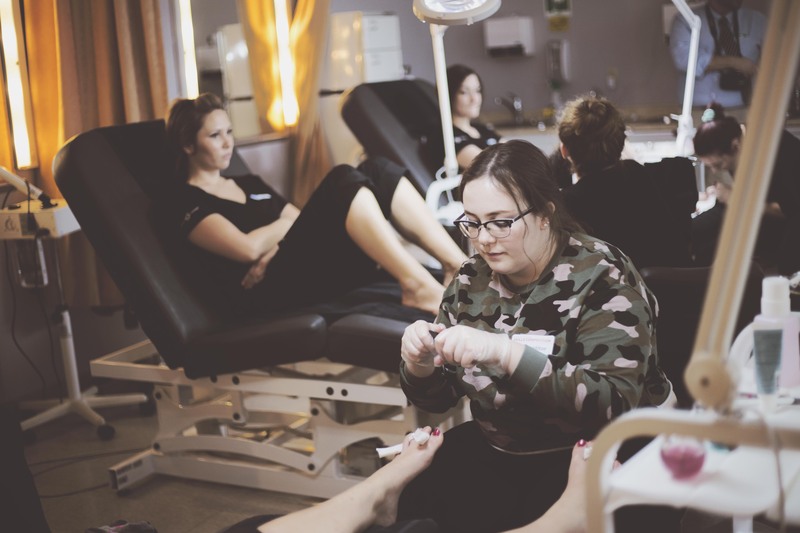 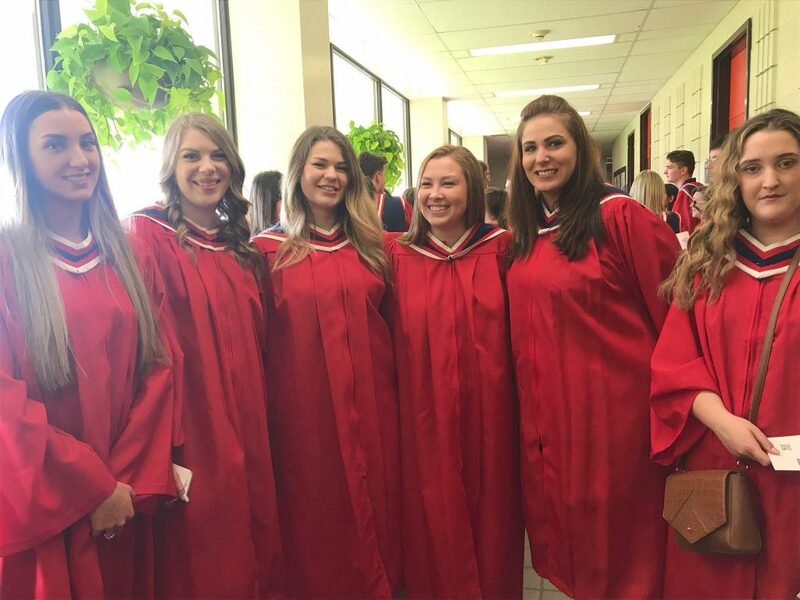 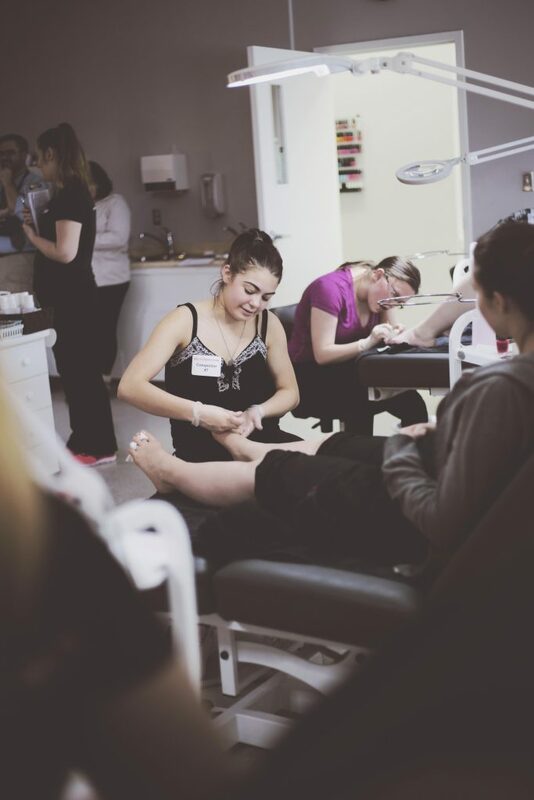 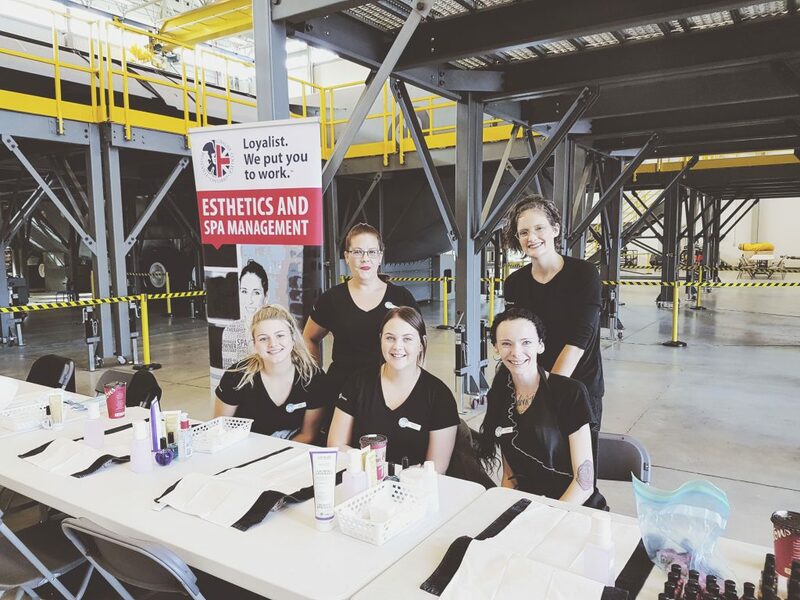 On January 23, 2019, Loyalist College’s Esthetics and Spa Management program hosted Heat for Feet. 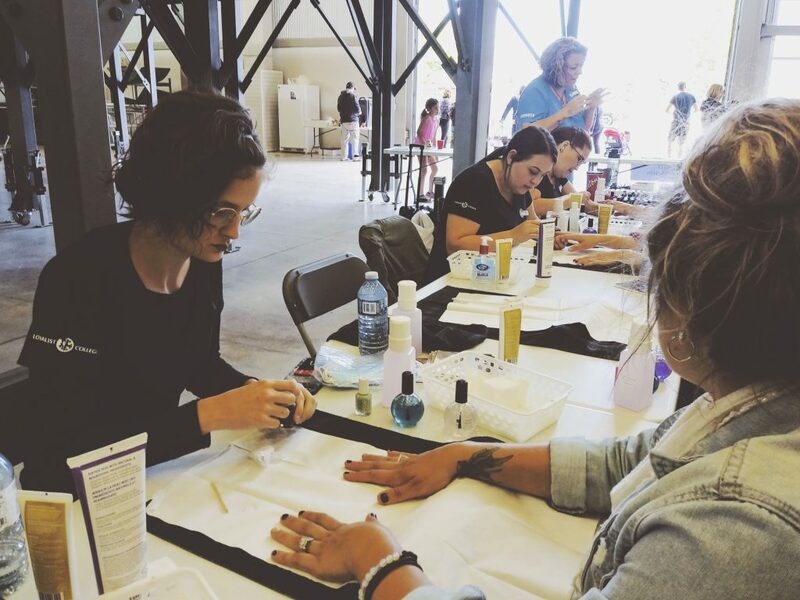 During this event, visitors were asked to donate a new pair of socks for the WE BE US 20K Sock Day; in exchange, The Spa offered complimentary Spa services! 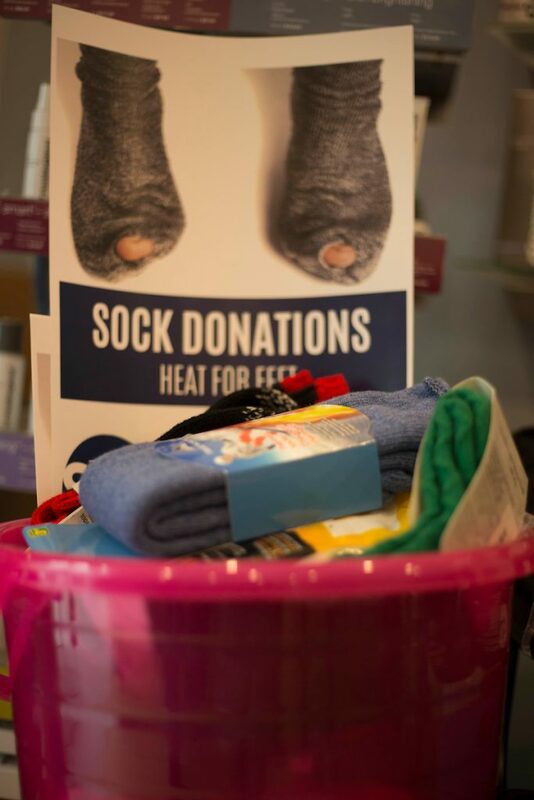 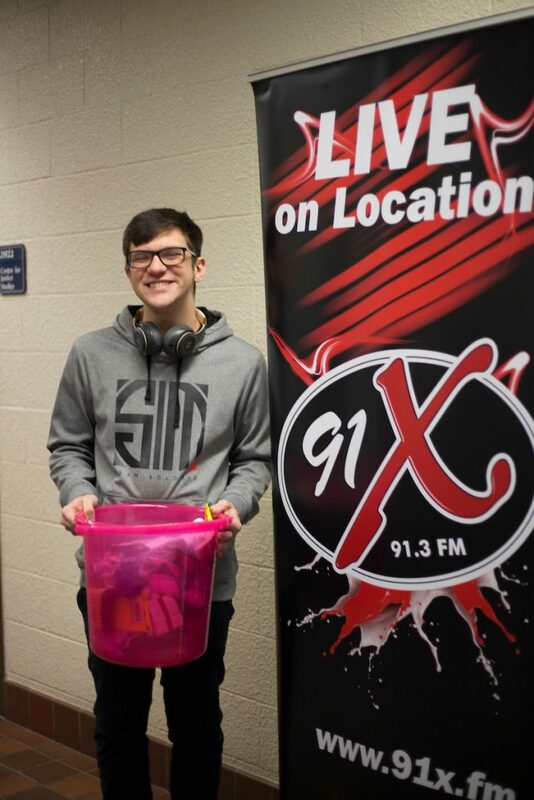 All socks collected were donated to homeless shelters across Canada. 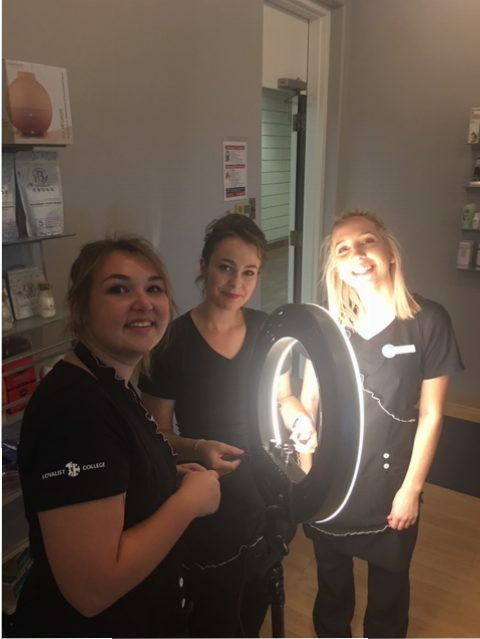 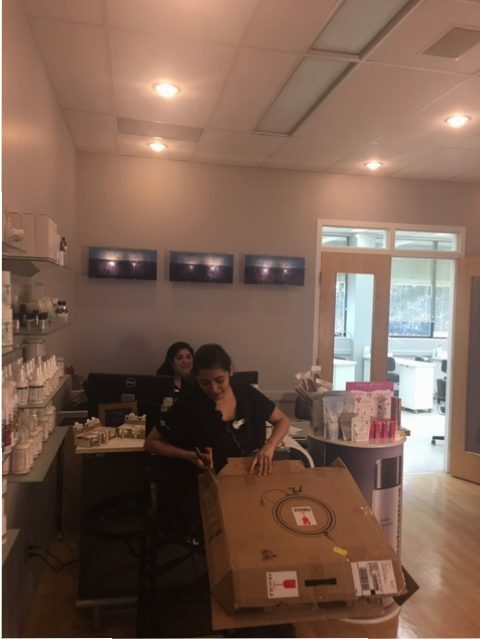 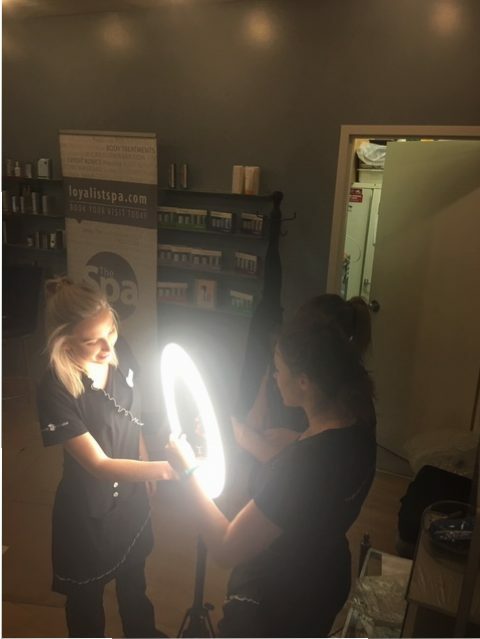 Second-year Esthetics & Spa Management students assemble new lighting equipment purchased at the 2018 International Make-Up Artist Trade Show (IMATS) in Toronto. 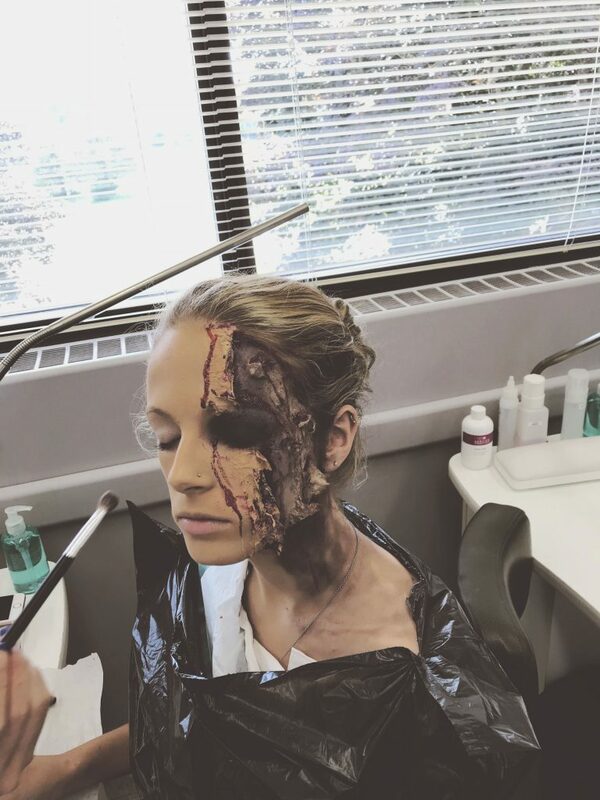 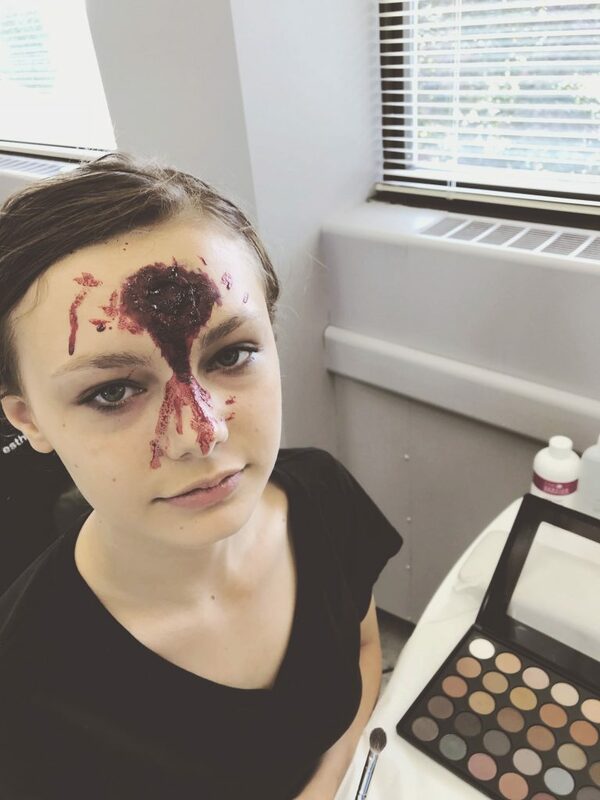 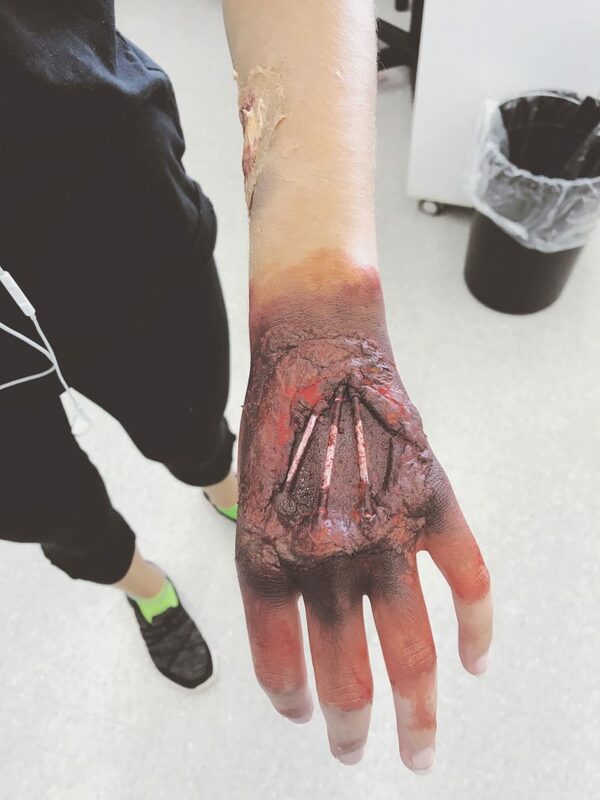 Students from HPEDSB and ALCDSB practise special effects make-up during a Dual Credit make-up course. 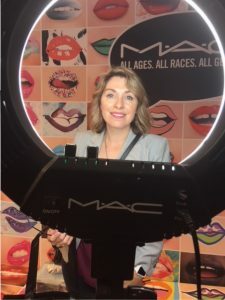 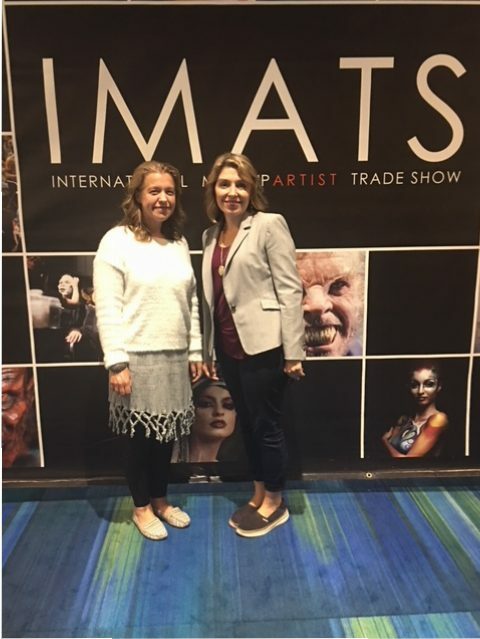 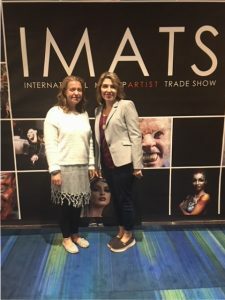 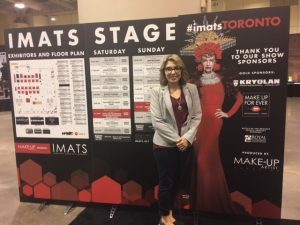 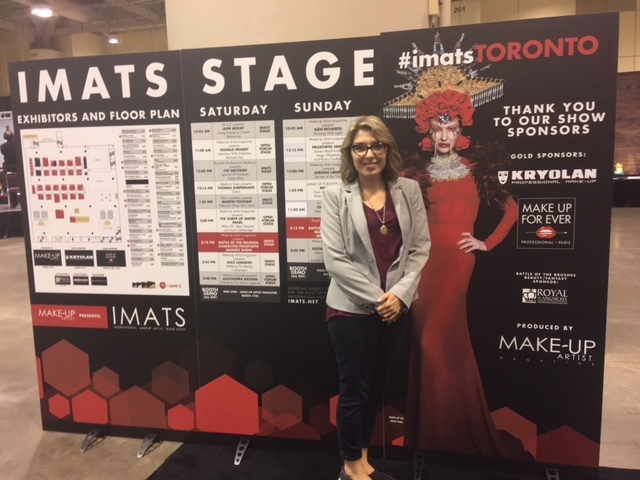 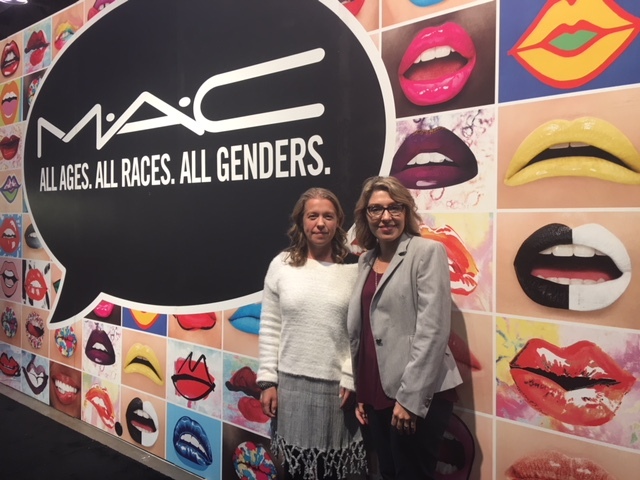 Professor Michelle Embury, renowned make-up artist and Prince Edward County bridal wedding specialist, visited the International Make-Up Artist Trade Show (IMATS) on September 22 and 23, 2018 at the Convention Centre in Toronto.